Bring out your best Capricorn! 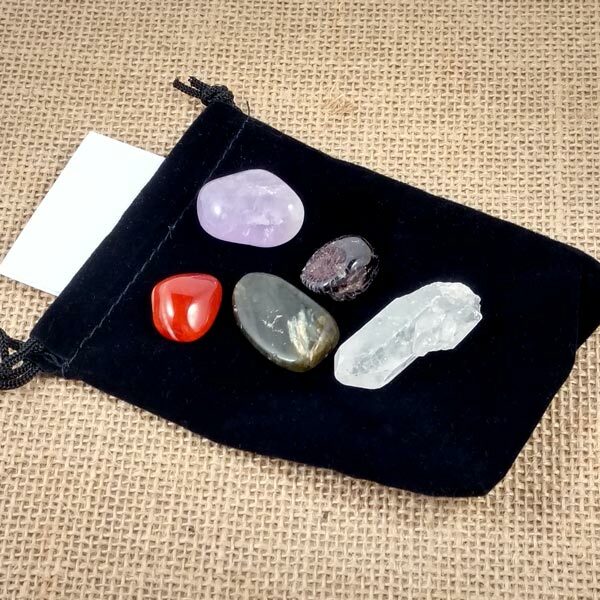 Includes a special birth date gem (not shown) and one each of Garnet, Labradorite, Carnelian, Amethyst, a Quartz Wand, Personal Affirmation and Pouch. This is a customized kit and will be individually tailored to you! It can take up to seven days for me to prepare, balance and tune customized kits. Always feel free to contact me to create something more specific for other needs or intentions.